Why buy Kamas at Lekamas? 99.9% Satisfaction - Over 10,000 players have used services of Lekamas since 2016. Secure Payment - 100% secure online payment system proved by 10,000 users. Fast Delivery - More than 95% of orders are processed successfully in less than 15 minutes. Refund Guaranteed - Full refund will be granted if you don't want to complete your order. How to Make Kamas on Dofus Touch? Here is the fastest way to easily earn Kamas on dofus touch, even if you are at level 1. One account is enough to make 1million Kamas a hour. Requirement: "Bow Carver" profession level 18. 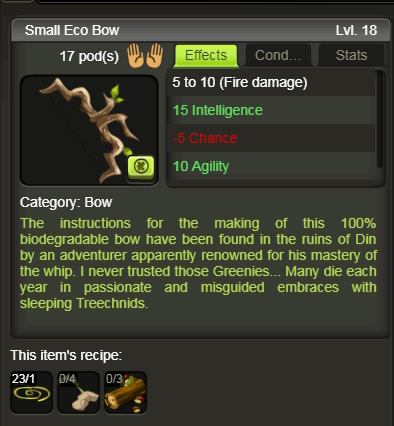 A "Small Eco Bow" can be created with "Flax String"x1 + "Treechnid Bud"x4 + "Chestnut Wood"x3, and can be sell to NPC for 400 Dofus Touch Kamas. 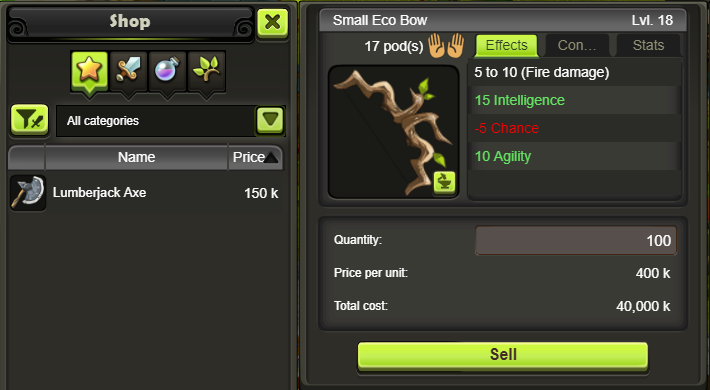 So check the price of resources to create "Small Eco Bow", and then calculate if it's profitable. Those resources cost less than 300 kamas in server Oshimo (price on April 6th 2019), which means that create a "Small Eco Bow" then sell to NPC can give you 100 Kamas. You can make more each time you create, depending on your load. Your profession "Bow Carver" will increase as well. As we know "Flax String" and "Chestnut Wood" are easy to farm in dofus touch, so you can earn more kamas if you can get those 2 resources on your own.